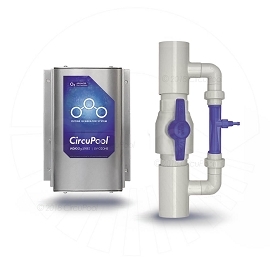 CircuPool® TJ-75 Hybrid Cyclonic and Cartridge Filter for Swimming Pools. 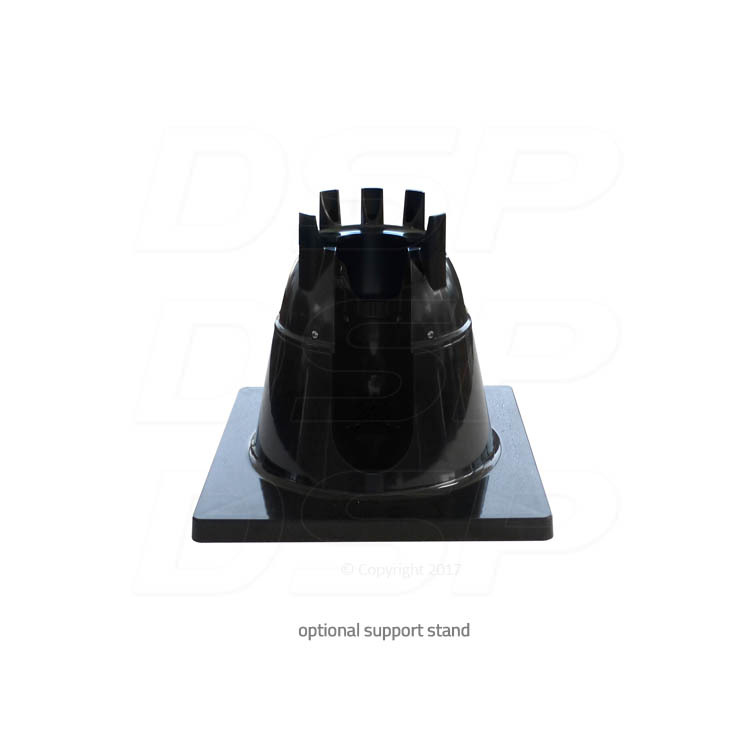 Innovative, dramatically reduced filter maintenance! 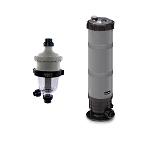 The TJ-75 Hybrid Filter is one of the most innovative and advanced filters available for swimming pools. 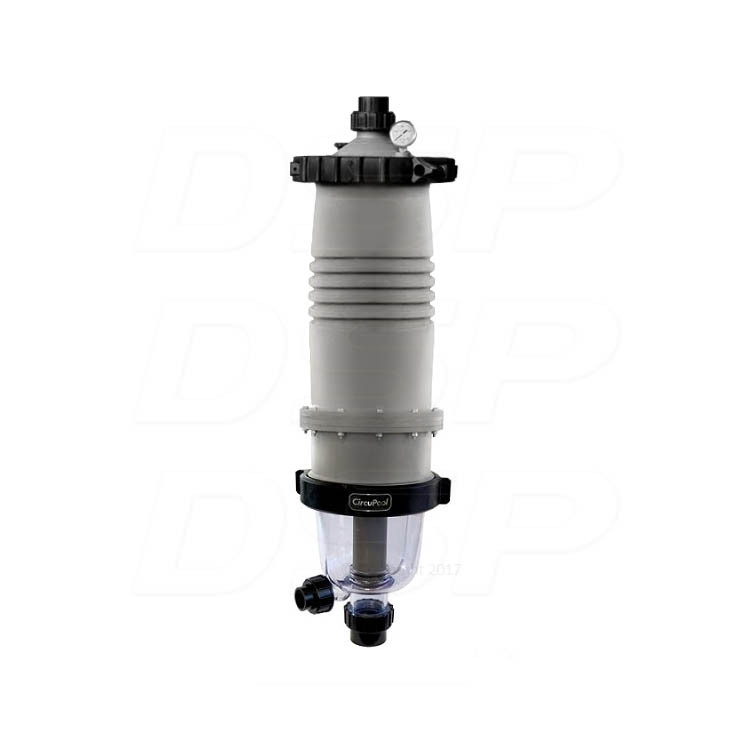 The TJ-75 combines centrifugal cyclonic pre-filtration with tried-and-true cartridge filtration, creating an ultra compact and streamlined swimming pool filter system. 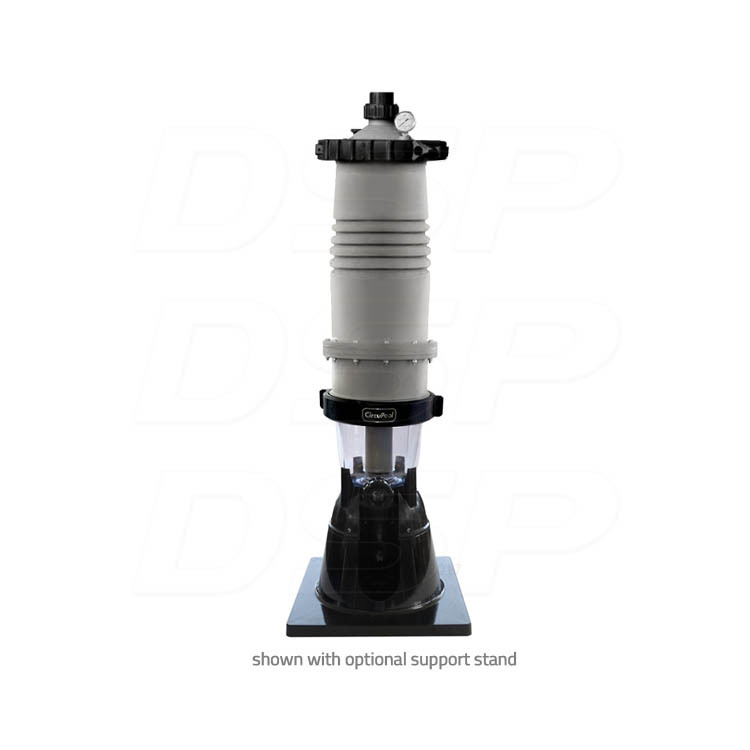 The TJ75 installs directly on top of your pump, so you don't need any extra space on your equipment pad, and the 2 inch threaded couplings ensure free-flow operation on all pools. 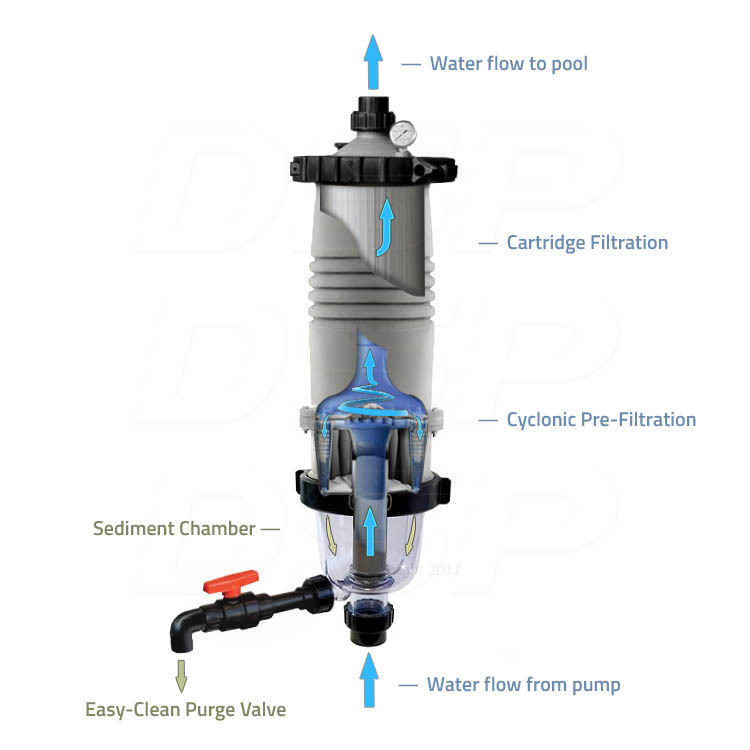 How It Works: Using similar vortex technology found in modern cyclonic home vacuum cleaners, the centrifugal pre-filter removes most of the dirt from the water (up to 80%) before it even reaches the main cartridge filter. 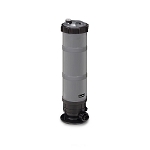 The pre-filter has sixteen independent centrifugal chambers that spin-away impurities from the water, working most effectively on dense debris (debris that sinks). 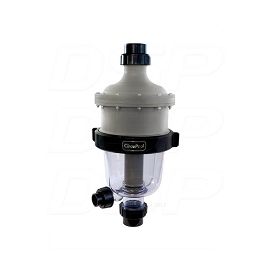 Its clear chamber lets you see how effective it is, as the majority of sediment settles there, and it can be cleaned in moments just by briefly opening its purge valve. Then, the 75 sq. 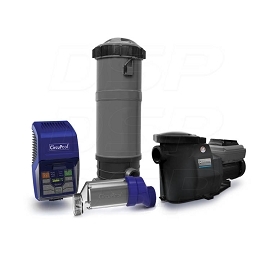 ft. cartridge filter captures the final micron-level impurities as the water returns to the pool. 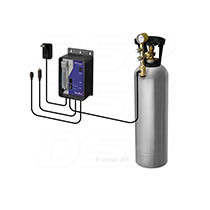 The pressure gauge indicates when the cartridge itself ultimately needs cleaning, which can be easily removed without tools and can be washed off with a garden hose. Sediment chamber is brilliantly simple to clean, takes only a moment!